I just had to break out one of my favorite comfort foods. Century egg porridge. 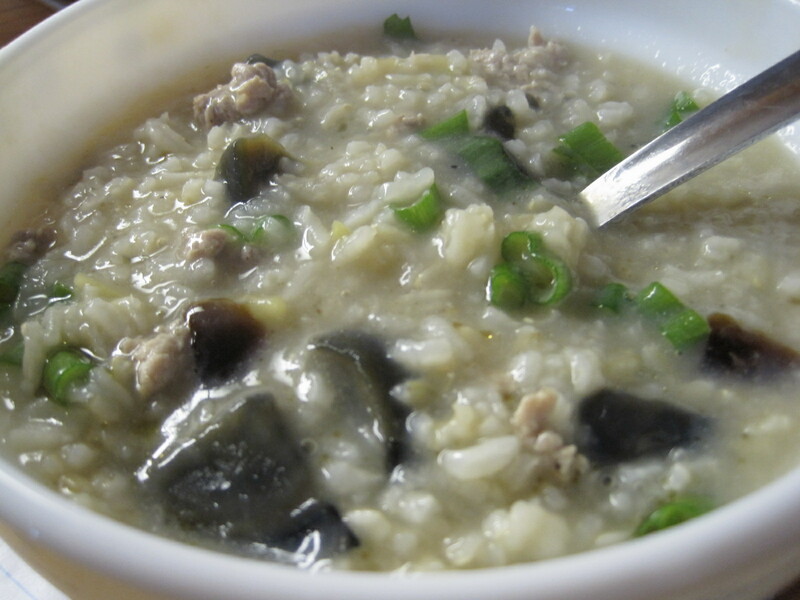 Hailing from Singapore, century egg porridge is one of those foods that I used to have for lunch after school. Piping hot and gruelly with minced pork, ginger and scallions, it’s a satisfying and also a low-calorie meal. It’s also very easy and quick to make, and uses up leftover rice in a jiffy. 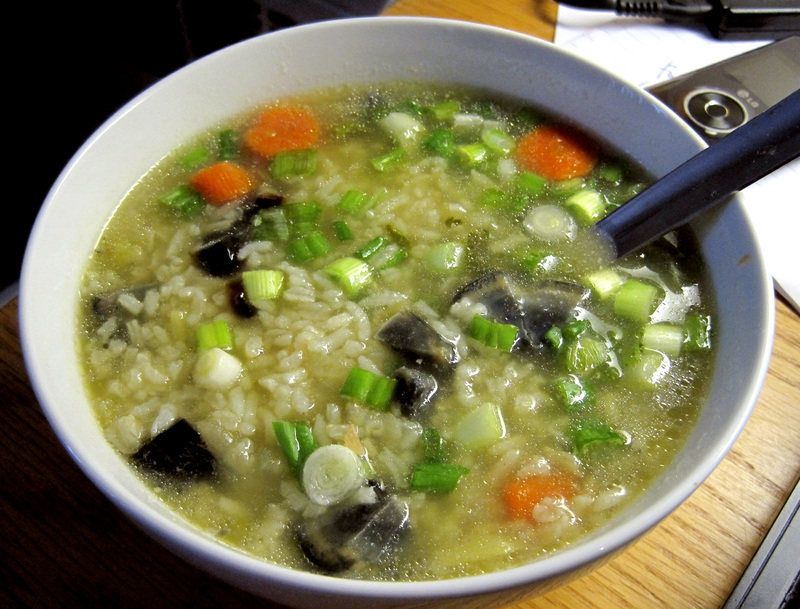 Porridge, or congee as it is more commonly called in America, is usually cooked two different ways: thick or soupy. And this is soupy: Personally, I like my porridge soupy. It might have something to do with the fact that I am descended from the Teochew people, and they are known for their predilection for watery congee. In the second picture, I had actually used some leftover broth from chicken and vegetable soup to cook the porridge. I can’t quite explain how much I love porridge. I could eat it for all three meals with condiments like preserved mustard greens and fermented spicy bean curd I won’t get sick of it. There isn’t really a fixed proportion of ingredients for this meal – it really depends on how you want it to taste. Add rice to water and put on high heat till boiling. 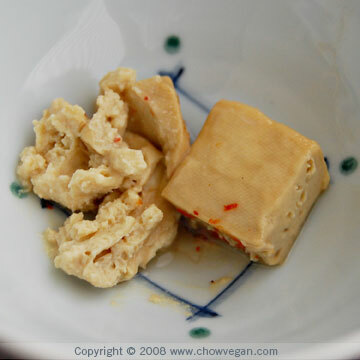 Once boiled, lower heat to medium and cook till porridge is close to desired consistency. Add minced pork in small chunks. Increase to high heat, and cook till boiling again. Lower heat to medium and add ginger and century eggs. Add light soy sauce, pepper and salt to taste. To serve, garnish with chopped scallions.